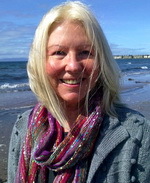 Maggie La Tourelle works in the field of healthcare as a holistic therapist, teacher and writer. Therapy and NLP. Counselling, psychotherapy and NLP coaching help you to discover what you want, how to realise it, and support you through the process of change. Kinesiology balances your energy and all aspects of your being, enabling you to enjoy optimum health and well-being. Energy Work helps to bring about an inner sense of harmony and well-being. Principles of Kinesiology introduces this unique system of healthcare that uses muscle-testing to communicate directly with the body / mind system and a range of powerful balancing treatments. The Gift of Alzheimer’s – Insights into the Potential of Alzheimer’s and its Care gives an informative and moving account of a mother who has Alzheimer’s and her daughter who is supporting her. The book offers a comprehensive guide to those caring for people with Alzheimer’s.